I love unusual colourful engagement rings! Being a little bit unconventional, alternative and individual I think often shows you have thought more about the design of the ring, has more meaning, romance and sentimentality. Plus, everyone will notice your ring with its glamorous, sparkly, striking gem! After all, we all think of the typical diamond engagement ring due to De Beer’s “Diamonds are forever” marketing campaign in 1948. Designed to boost diamond sales after the Great Depression, the modern day diamond engagement ring was created. I think we can all think a little outside of box these days, don’t you? So which gemstone would you choose for your engagement ring? We can be so creative with this. Maybe you or your partner has a favourite gemstone, favourite colour or flower. Anything that sparks some meaning, fond memories and emotion. Hunting for stones, it’s comparable to sweet and shoe shopping! I love it. 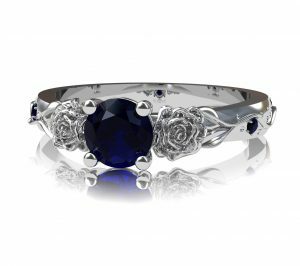 I’m currently designing an engagement ring with an amazing blue sapphire with black roses as her favourite colour is blue and black. Last year I made a stunning diamond and ruby ring. This year they named their little baby girl Ruby! I’ve also chosen to have a peach coloured padparadscha sapphire myself. You can read all about it ; designed around the Sri Lankan lotus flower and our travels together around Cambodia. Are you beginning to see just how personal a ring can be? Amazingly thoughtful, individual, emotional, romantic and will be adored and loved for many years. I could get so carried here. There are some practical reasons that will help you make your decision. Each stone has its own hardness which we refer to the Mohs Scale of Hardness and may determine your choice on how to choose an unusual gemstone for your engagement ring. Diamond is the hardest followed by Corundum (Sapphire and Ruby). If you intend to wear your engagement ring daily, especially if you have a hands-on job you would be wise to choose a harder gemstone. Softer stones such as opal or pearl make beautiful rings but they do have different care needs and certainly do not appreciate washing the dishes or gardening! Gemstones over the hardness scale of 7 are considered hardwearing. 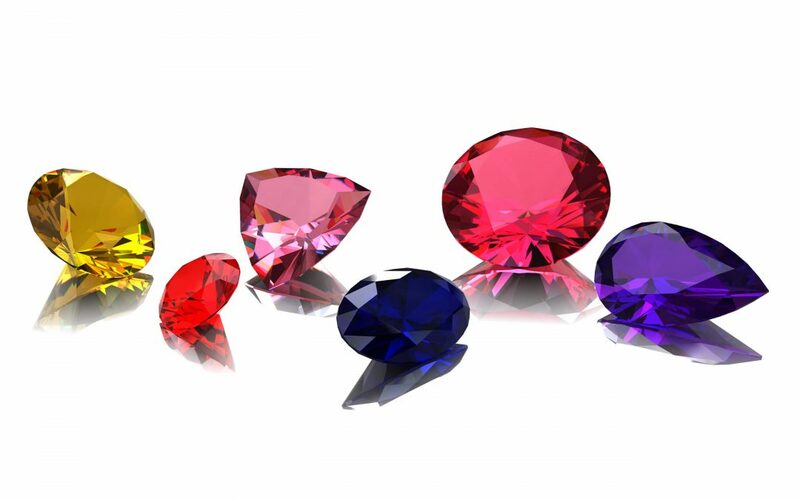 These would include sapphire, ruby, alexandrite, chrysoberyl, topaz and spinel to name a few. Stones you see in shop windows show a limited selection of the beautiful rare colours available. Did you know that sapphires are available in a rainbow of colours and tanzanites, garnets and amethysts can be green? There are so many lesser known gorgeous gemstones to choose from. You only need to inquire about so that I can source the perfect stone just for you. So many options and eye-catching rings to design and make. I’m looking forward to hearing about the next engagement story I get to bring to life. 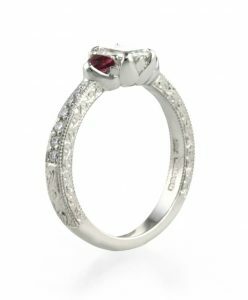 Alternatively, If you would like to design your ring together with your partner you can always propose with your stone in a temporary ring. 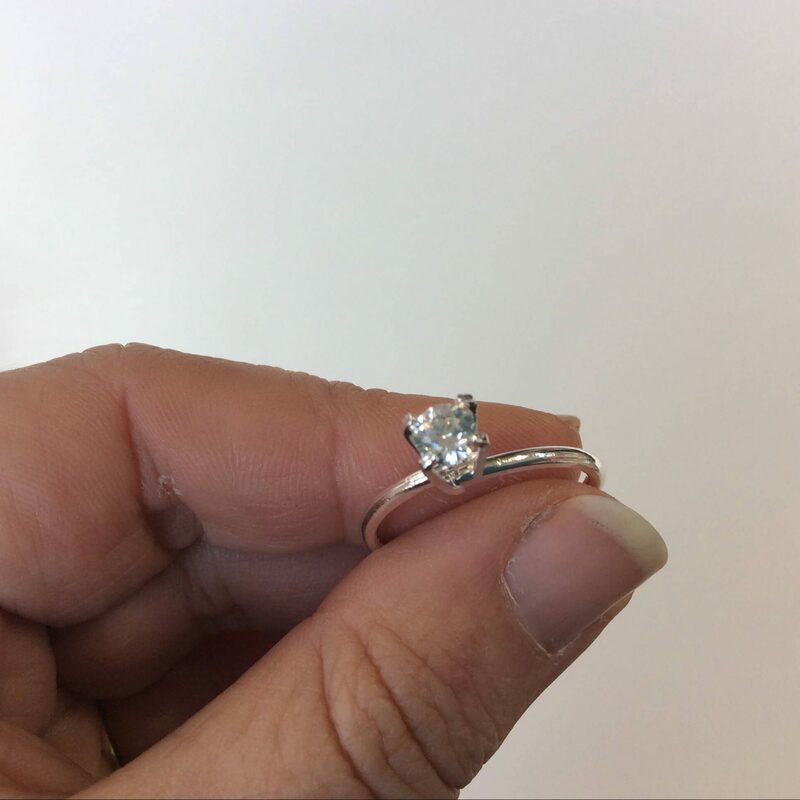 Read my blog So you want to choose the perfect surprise engagement ring? for more information. If you have any questions on how to choose an unusual gemstone for your engagement ring or would like to discuss your colourful ideas it only takes a quick chat with me. And you’re a little terrified! yep, is this you? I totally get it, You’re about to buy possibly the most expensive gift you’ll ever get and you have no idea what she would really love and treasure. This is the engagement ring she has been dreaming about for years. 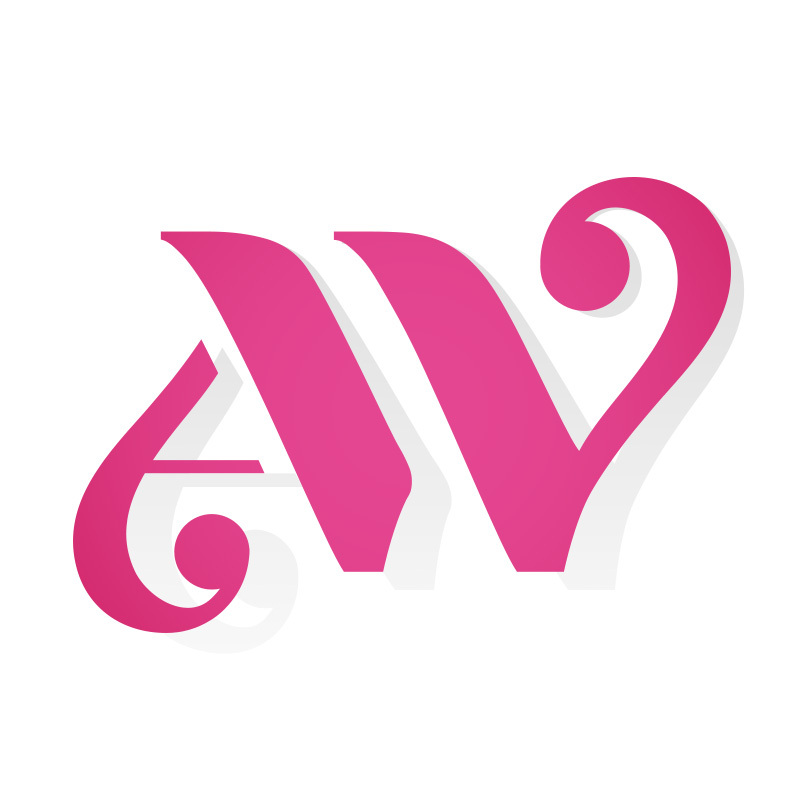 Worried you’re going to choose a design that your partner doesn’t like? 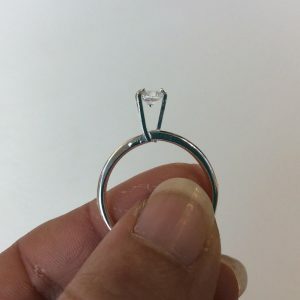 I see so many of you that really want to put so much thought into the design, creating a ring that suits your partner’s personality and style. You really want her to love it! Does your partner like to be original, maybe a little unconventional. Worried you’re going to have to settle for something that really isn’t to their taste? Well, I have found a solution! Honestly, I have been looking for these little rings for years and I’ve finally found them. Rings that you can hold a stone in temporarily, just long enough for you to propose. Then you can design the engagement ring together. 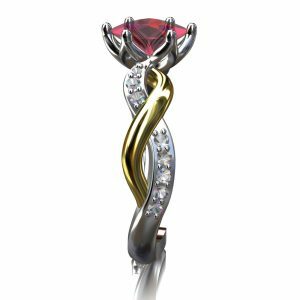 Choose the stone from me that you would like (and you think your partner would like too), it doesn’t have to be a diamond either, a striking colourful gemstone instead would look fantastic. It will be presented in a quality ring box for you to propose. You can both have the fun of working with me to design your perfect ring together! 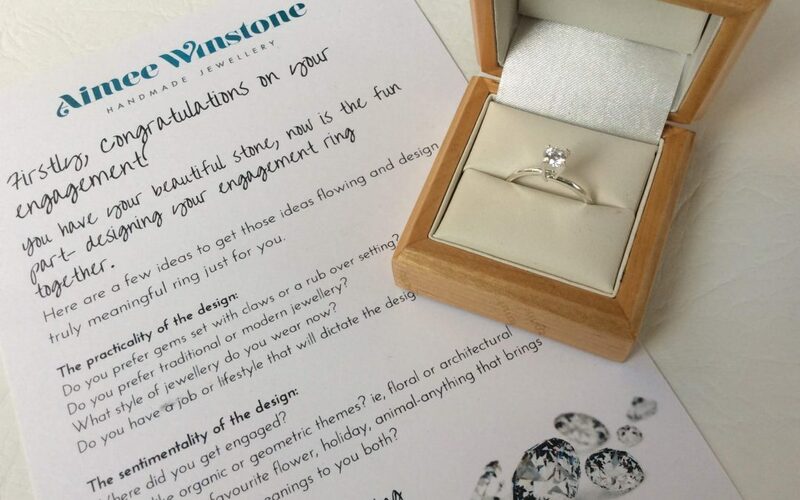 It will even come with a sheet helping you decide on a style and theme you would like your engagement ring to follow. 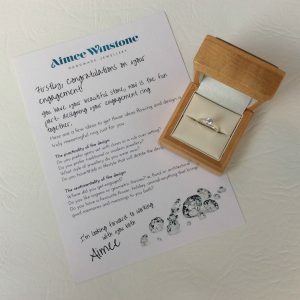 Maybe your proposal would spark some theme ideas or their favourite flower, these are just two examples. I’ve even designed engagement rings with a star theme, for a proposal under the stars. It’s a lot of fun during the design process and a fantastic way of having both your ideas incorporated into the final ring. It also makes a fantastic story to tell and a perfect heirloom to leave future generations. The difficult decision now will be how to pop the question! 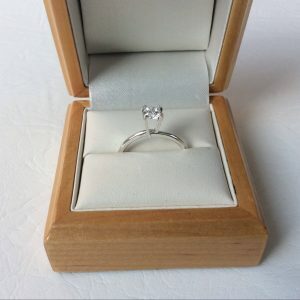 Maybe you would like to read How To Sneak Your Engagement Ring Abroad & Propose or take a look at some of my previous custom made commissions for some ideas.